In support of the religious responsibilities of St. Peter's United Church of Christ, the cemetery will provide an affordable, dignified, and endowed final resting place for church members and the community, regardless of race or religious affiliation. Office Hours: Weekdays - 8:00 a.m. to 4:00 p.m.
As one of the oldest congregations of its denomination in Missouri, St. Peter's United Church of Christ has owned and operated a cemetery in the Greater St. Louis area for over 170 years. 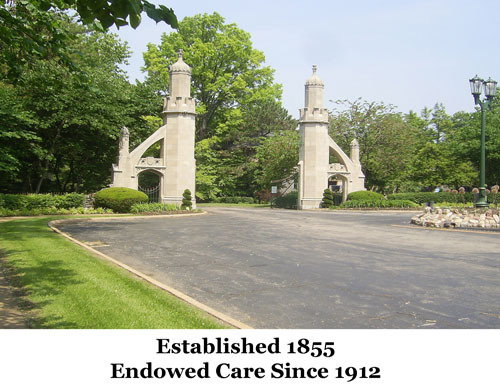 The current location provides a full-service, fully endowed, perpetual care cemetery, regulated by the State of Missouri's Office of Endowed Care Cemeteries.